Provided by Allen Browne, December 2006. Updated April 2010. If you install multiple versions of Access under Windows Vista or later, you receive errors when you run any code in Access 2000, 2002 and 2003. Microsoft Access can't be started. Rerun Microsoft Access or Microsoft Office Setup to reinstall Microsoft Access. 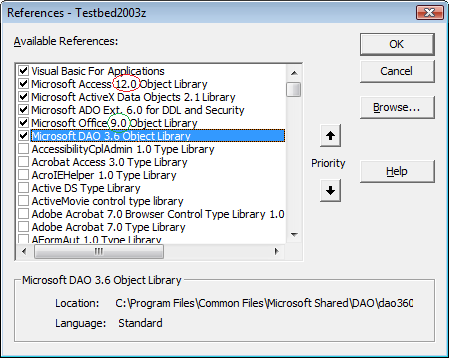 The Access and Office library references are adapted to the version of Access you open. 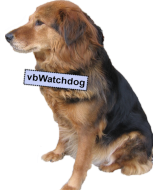 Under Vista, programs do not have the privilege to alter the registry. Access therefore runs with the last registered library. The code cannot compile using the library of the wrong version, so no code works. To read more about what References are and which ones apply to each version of Access, see Solving Problems with Library References. Right-click it, and choose Permissions. In the Permissions dialog, select the Users group. Under Permissions for Users check the Allow box beside Full Control. Even though the key refers to 9.0, the solution applies to all versions from Access 2000 onwards. Create a shortcut to run each msaccess.exe as an administrator. This allows each version to register itself on start-up. Right-click the shortcut, and choose Properties. Click the Advanced button. Check the Run as Administrator box. Each time you start Access, you will need to click the Continue button in the User Account Control warning dialog. For Access 2007, you can use a normal shortcut, i.e. Run As Administrator is not needed for this version. February 2008 Update: after you make this change, you may need to switch to another version and switch back before Access will register the correct library. The simplest (and least safe) workaround is to disable UAC, and use an administrative account. Warning: This degrades the security of Vista. Malware can install itself as in earlier versions of Windows. Uncheck the box, Use User Account Control (UAC) to help protect your computer. In a corporate environment, you may not be permitted to use either of the options above, so you will need a separate machine for each version of Access. These "machines" may be virtual PCs, a computer that multi-boots, or physical computers. It needs an additional Windows licence. If the Virtual PC runs Vista, you need separate Virtual PC sessions for each additional version you support. You could run setup.exe from each version of Office every time you wanted to switch versions, but this is no solution. It would require administrative control, be an exercise in frustration with the UAC dialogs, and consume more time than it was worth. You might choose to stay with Windows XP or earlier versions. There is no advantage to this workaround. It is no safer than Option 3 above. If you are asking this question, the entire problem does not apply to you. Chances are, no one else uses the databases you create. Test, and trace problems in the same version as your client. Make any changes to databases from Access 97 or earlier. What did you think of 'Errors using multiple versions of Access under Vista/Windows 7'?